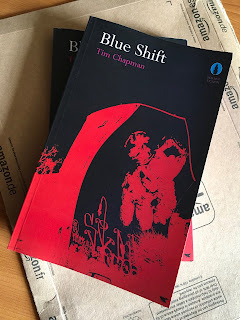 Blue Shift, my rather long-gestating novel, is now available from Amazon as a paperback and Kindle ebook. You can read some short selected extracts on the Blue Shift tumblr. It's been quite a journey. It's some 22 years since I first put pen to paper on the book, which was a little longer than I anticipated. I probably knocked out a decent third of the book in that first idle summer after finishing university, then squeezed out chapters at increasingly irregular intervals over the following years. Other stuff got in the way, and there was a big stumbling block in the story that I couldn't quite see over. 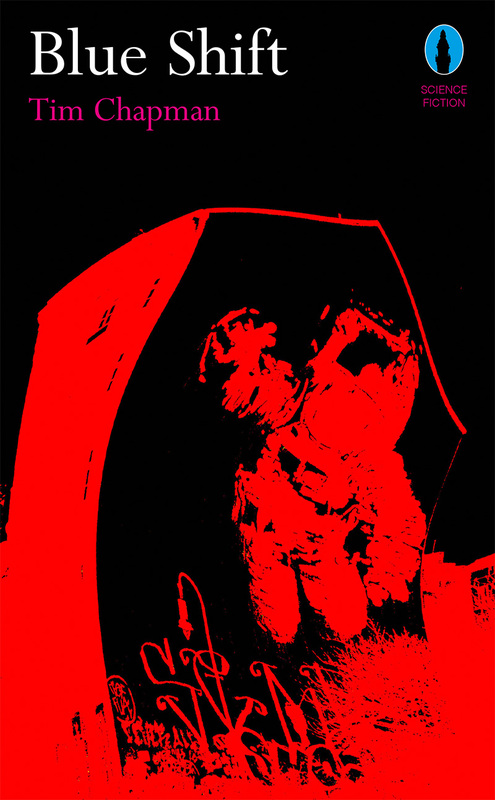 Five years ago or so, as discussed previously, I reworked the first half as a more-or-less standalone ebook. Despite some very positive comments from readers, the sales did not immediately spur me to finish the thing. Still, it came along in dribs and drabs. Last year, with half a dozen chapters to be written and a new iPad that let me hammer away from the comfort of a garden deckchair, I resolved to get it done. With further editing, it was pretty much over by Christmas. It's probably a better novel than it would have been if I had finished it when I were but a callow youth. I certainly did a fair amount of editing and rewriting to be done on the earliest parts, taking pains not to lose the authenticity of the youthful voice (the book is, after all, largely concerned with the end of youth). Maybe it just took me so long to properly work up the requisite levels of bitterness and spite to see me through the final scenes. Then off went the manuscript (or, in most cases, sample and synopsis) to as many suitable publishers as I could find. Back came the brusque sorry-not-for-us notes. Yes, it's as depressing as they say. So I looked at self-publishing. It's the punk thing to do. I'm pretty happy with the quality of the print-on-demand paperbacks. The cover material isn't quite the best, and I'm sad that I can't have them exactly mimic the size and feel of the classic Penguin paperback (if only to match the cover design, a homage to Franco Grignani's SF classics), but I've bought worse-quality paperbacks from real publishers. At the least, it's a pleasure to have the book as an actual book you can hold, or put on the shelf, or give to people, or leave in secondhand bookshops for unsuspecting browsers. So here it is. It's a grimly comic novel about cosmology and dancing. It's very reasonably priced. If you're reading this, you might like it.